The Sutton Plan with BetterPoints ended on 14th December 2018. 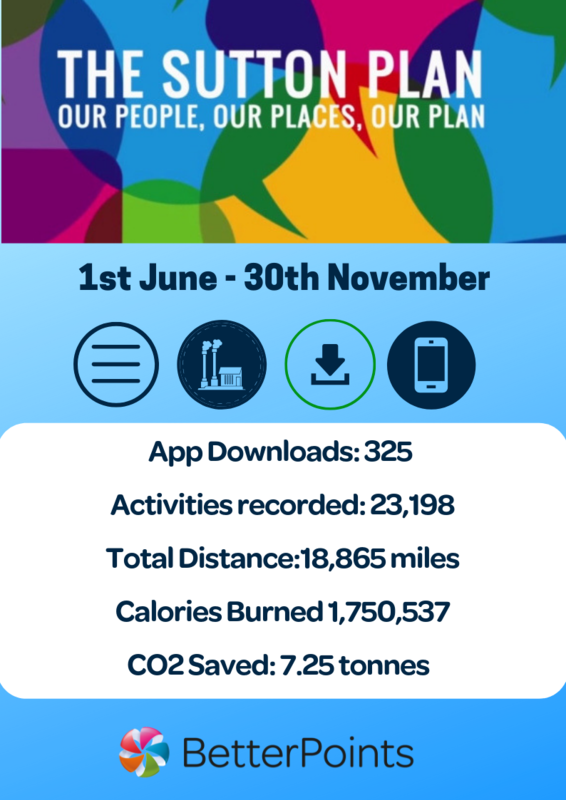 Thanks to those of you who participated by trading car journeys for walking, running, cycling and sustainable travel over the course of the programme. The initiative was aimed at the residents and workers of Sutton, to earn rewards for helping improve the air quality within the borough in partnership with Sutton Council. You could then use your BetterPoints to reward yourself, by selecting any of these rewards, or donating them to any of the charities from this list. 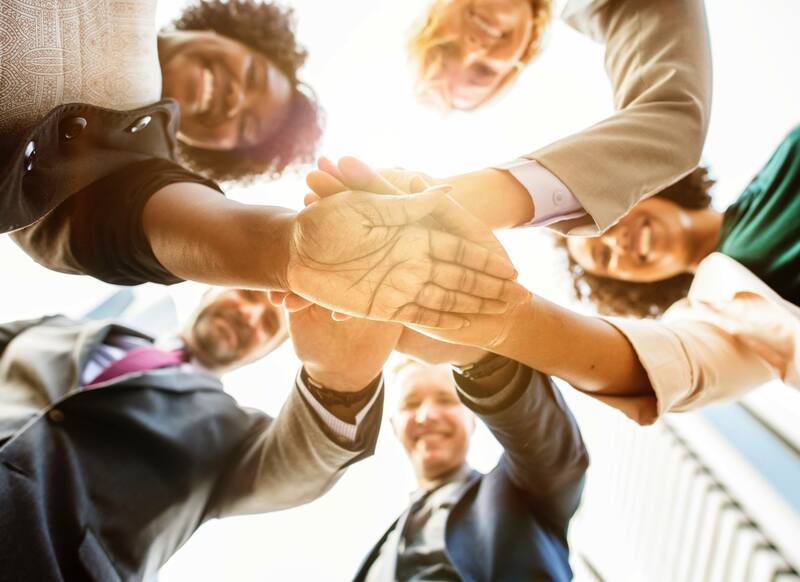 The great news is from that date you can still continue to take part in the BetterPoints National Rewards Challenges until another funded project comes to your area. On behalf of BetterPoints, thanks to The Sutton Plan team, Sutton Council and other local partners for offering rewards for active and sustainable travel within the borough for the last 6 months. What happens to the BetterPoints I've earned? How do I give my feedback about the programme? Your thoughts on the programme will be really useful for the future. Please use this link to access our user feedback survey. For taking part in the survey you'll be entered in to a prize draw to win a £20 shopping voucher from our list of retailers here plus we will also donate £20 to your favourite charity. The survey closes on 31st December and the prize draw winner will be announced on Wednesday 2nd January 2019. For those who participated well done for all the active and sustainable travel to help keep emissions low in Sutton, we hope you've enjoyed taking part and earning the enhanced rewards.